Ocean Grove. 2011 © Paul Goldfinger photograph. Yellow warning flag is flying. *Stephen Sondheim: A Funny Thing Happened on the Way to the Forum. After hearing OG’s Carol Rizzo, the 2019 Neptune Township Mayor, effusively praise the “new” North End Plan, Jack sank down in his chair—He says that all hope seems to be lost as this show unfolds with its final acts waiting in the wings. This drama about the historic town of Ocean Grove is now positioned to move forward in a direction that will be accepted by all the power players, leaving the residents of the Grove hung out to dry. Once the contractors trucks begin to stir up the dust and clog our respiratory tracts, while creating a nightmare of congestion, and a cacophony of noise, we will wind up with a large scale version of the Greek Temple on Main Avenue—a variation on a theme as the promise of historic small town OG will forever be lost. Let’s consider the players in this Greek tragedy known as “The North End Revelopment Plan.” We have the main actors at Neptune Township along with the Chorus consisting of the Home Groaners, the Camp Meeting, the Chamber of Commercials, the Historic Preservation Commission, the Planning Board, and The Wesley Lake Commission. a. The Neptune Township Committee: Mayor Rizzo of Ocean Grove, who has swallowed the Kool Aid, will lead those Neptuner sheep to unanimously approve the new plan. She has appointed Committeeman Michael Brantley to take her place as the “Class one” member of the Planning Board. She has abdicated her key role as the protector of the people at the PB. Brantley is a Neptuner through and through, and he will order the PB to approve the new plan unanimously. Once upon a time there was a Committeewoman who favored single family zoning at the North End. Mary Beth Jahn stuck her neck out for the best interests of the people and the town, and she was beheaded by the Monmouth County and Neptune Democratic Party. The Neptune Committee is indifferent to the people of Ocean Grove, and one party rule prevents any chance of changing the ending of this tragedy. b. The Rule of Law: Normal procedures regarding land use law have been routinely violated in Neptune, but that crowd, along with their OG allies, does whatever it pleases. And they are aided and abetted by favoritism offered by key unelected bureaucrats at Town Hall. d. Developers: (OGNED) Most of these people are connected to OG, but despite that, they conspire, whenever possible, to exploit the people of OG for profit. They are favored at the Mother Ship with zoning manipulations including those that increase congestion and ugliness in town: Condos, Greek Temple, Mary’s Place, parking torture, etc. e. Camp Meeting Association. They have removed themselves as Redevelopers,but that is just cosmetic. The President of the the CMA told us publicly that his organization has been involved in negotiations to move the NERP forward. They have control as the land owners, so they are focused on making money. They seem to have little interest in the OG residents community or the historical designation of the town. f. Chamber of Commerce: In many US towns the CC is community minded. But this crew only cares about two things: profits and tourists. They never get involved with community issues such as the North End. For them, the commercialized North End Plan will increase their membership as they continue to close Main Avenue for mindless tourist events and crowds. g. Historic Preservation Commission: When they are not hiding under their beds, they are busy being hypocrites and they have stood by while the Neptuners seek to take over their guidelines on behalf of developers and contractors. i. The Residents of OG-–Those who envision our historic town as a lovely place with its Victorian architecture, parks, clean Lakes, parking for those who live here, reduction in tourist glut, solving the Asburian invasion, keeping our streets open, nurturing of the community with its kids, families, retirees, diversification, etc. will be the big losers in the North End project. “Representative government” has failed here, and apathy reigns. Only a major law suit in Superior Court or an investigation by the NJ Attorney General could close this show down. By Jack Bredin and Paul Goldfinger: Blogfinger.net. January 15, 2019. Ocean Grove, New Jersey. The original plan for Lake Avenue: A Sunday kind of walkway. 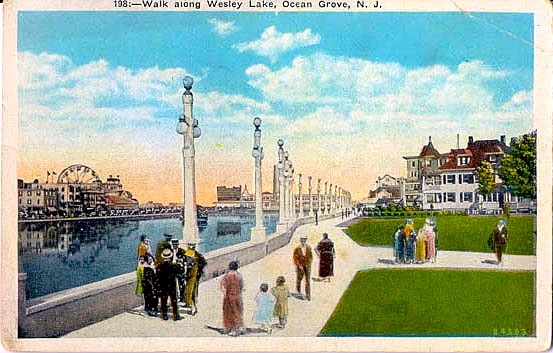 Ocean Grove walkway along Wesley Lake by Founders Park: It was called Lake Avenue, not Beach Avenue. And the lake was a lake not a retention/detention basin (as it is currently labeled) Re-posted from 2016. Is the Aurora truly an important historic structure? 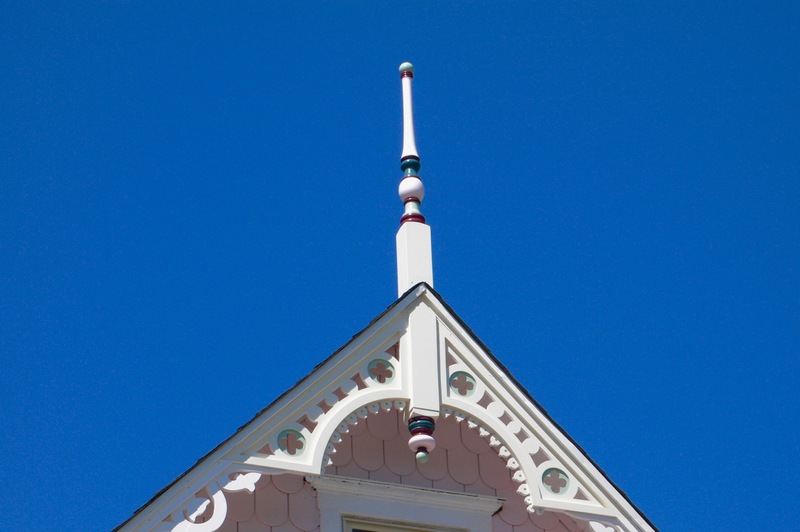 Which way is the wind blowing regarding historic preservation in Ocean Grove? Paul Goldfinger photo © 2003. Surely some of you saw his comment and would like him to explain it. It seems to me that he is saying that we have two standards of “historic” regarding OG architecture: a truly historic structure and an old building that “doesn’t have any real history to it.” The subtext is that it would even be OK to demolish the Aurora. I can recall attending the 2013 hearing for demolition of the 134 year old Whitfield Hotel when a strong case was made that the old building was of no significance in terms of its architecture or its history in the Grove. Historians and other experts spoke and concluded that it had “no style” and was a “useless mess.” Citizens present agreed as did the HPC, so that old building was torn down to give way to four “reproductions” on crowded undersized lots . Although we can’t exactly compare the Aurora to the Whitfield, clearly there are times when old structures should not be saved. So is Kevin correct about the Aurora? Should the new owner be permitted to demolish it and put up condominiums? We already have heard about the idea of remodeling the Aurora and converting the building to 4 modern, luxury condo’s. And then there is the idea to demolish and put up single family homes. Wouldn’t it be great if one of those public servants who are on the Historic Preservation Commission had the courage to comment here and help educate the public about this subject, but don’t hold your breath. So maybe some of you Grovers who are knowledgeable about historic preservation in our town would comment. Just Wondering: Is neon historic? From Neon Leon: I don’t think that neon signage is appropriate in the historic district. There are at least 3 businesses that have it. Is there any regulation that forbids neon signs? Double standards at the Historic Preservation Commission? We’re shocked, shocked that that would go on here in historic OG. Probably the biggest complaint about the HPC relates to its inconsistencies. For example, a Grover couple owns a large Victorian home that they have tried to maintain with great attention to its historic attributes. It is actually a Victorian showplace. Up in back of their house there is a staircase ascending to an access at the second floor. They wanted to put a fairly small deck up there. It would be barely visible from the street and would improve the couple’s life-style. But the HPC refused the request on the grounds that such a structure was not historic. Yet around the Grove there are all sorts of porches and decks that have been added. Just take a walk and you can see them. If you were a prospective home buyer here, you might look around and think that such decks are historic. We had one on the second floor, in the rear, of our Centennial Home on Heck Avenue. If I tried to build that from scratch, it might (or might not) be approved. The HPC is unpredictable. Another person we know was given permission to put up a deck just like the rejected couple’s. Double standards by the HPC (as with their parental group, the Township Committee) are toxic to good will and lifestyles in this town. The funny thing about this building is that locals and visitors find it to be amusing. So, thanks to the HPC, we have a giant conversation piece that is famous not for its Victorian architecture, but as a sort of joke; and the HPC has become the straight man for this humorous offering which does nothing for our town’s reputation and designation as an example of historic preservation. And rumor has it that the HPC allowed a historic roof top pool, something Rev. Stokes himself would have been shocked over. 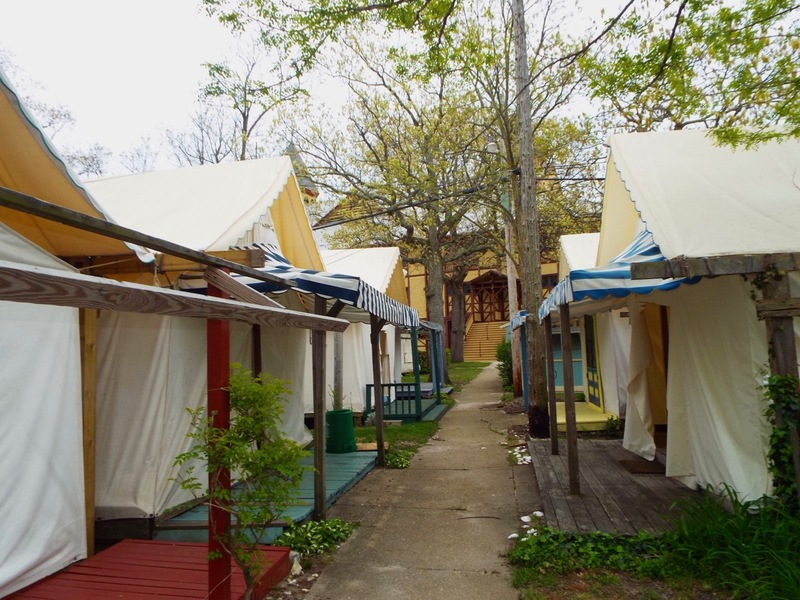 Ocean Grove Tent City. Photo by Jean Bredin, Blogfinger staff ©. 5/11/17. 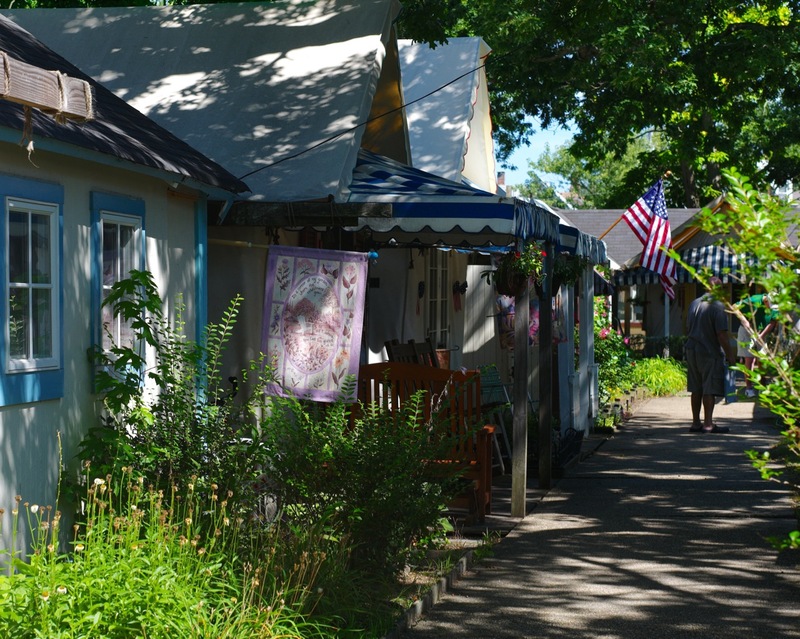 Jean says, “The little paths between the rows of tents are quaint. You walk down, and there’s the Great Auditorium in all her splendor. “They soon will be occupied, and personal touches will embellish each tent. JUST WONDERING: How does Neptune Twp. get away with avoiding RSIS regulations in OG? Entrance to Ocean Grove at Main Avenue. Blogfinger photo. 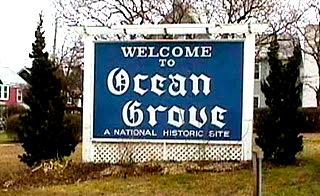 In denying its repeated requests to not have to require off-street parking in Ocean Grove, the State reminded the Township that, since 1997–eight and 12 years, respectively, before Neptune made these requests–Neptune (of which Ocean Grove is a part) had been required, by law, to comply with the RSIS standards (including the parking requirements). Also, the State’s 2005 letter was clear that RSIS applies to “all site improvements” involving residential development. The State didn’t limit RSIS’s applicability to new development only; yet that’s what the Township specified in its subsequent 2009 request. I don’t know enough about this to know the differences in meaning among “future residential development,” “new residential development,” and “all site improvements for residential development,” but I would think that the State’s wording is much broader. 1. 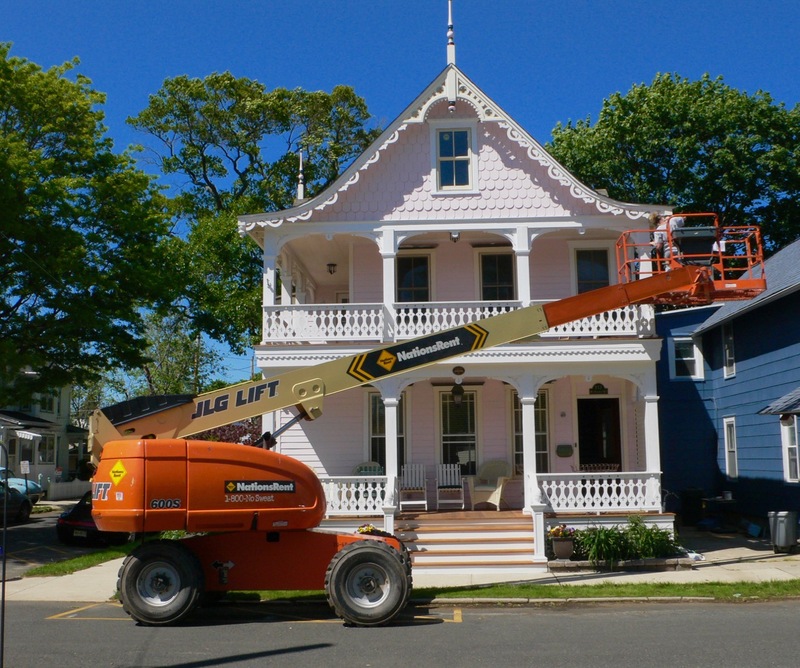 From 1997 through 2005, the Township complied with RSIS and required off-street parking in Ocean Grove for all site improvements for residential development, since apparently it didn’t ask the State during this time to permit it to NOT comply. 2. 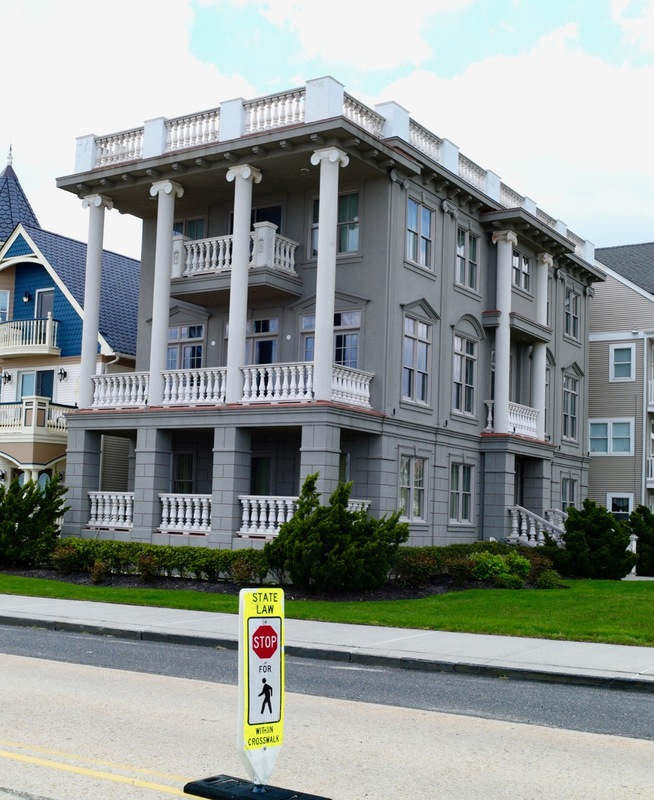 From 2005 through 2009, Neptune Township continued to adhere to the RSIS standards (including those related to parking) in Ocean Grove because the State affirmed in response to the Township’s 2005 request that its compliance was required by law. 3. From 2009 through the present, the Township remained, and remains, in compliance with RSIS standards because the State reiterated in 2009 that the Township (including Ocean Grove) was legally required to comply. I’m sure I’m oversimplifying this, but is my reasoning correct? If it is, then do my conclusions accurately describe what’s occurred in Ocean Grove since 1997? If not, why? Despite what the State said, are there/have there been legal ways for Neptune Township to bypass RSIS? 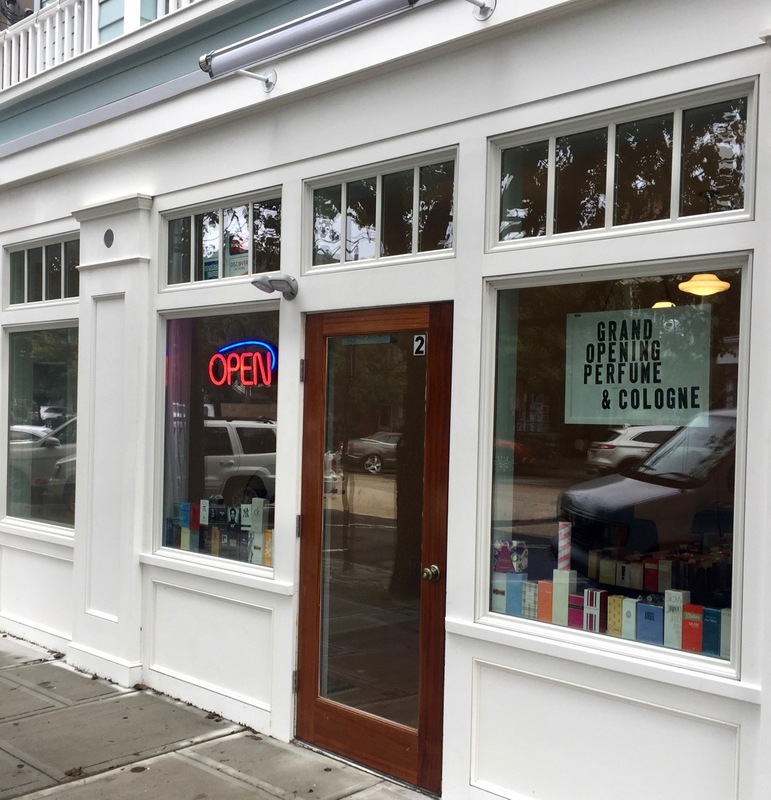 For example, would non-compliance be legally possible because of Ocean Grove’s Historic District designation? But if that were the case, then why did the State deny a non-compliance request for Ocean Grove twice? Was the SIAB saying that it’s OK to make “exceptions” to the parking requirements, as long as SIAB is notified? Has the Township been doing this? Maybe not, and perhaps that’s why its “special area standards” applications have been denied — because the SIAB knows full well that the Township has been disregarding the RSIS standards all along. The thing I’m still not “getting” is how it could be that residential development that’s not in compliance with state standards–i.e., that’s illegal–has been going on in Ocean Grove for 20 years. I was an Ocean Grove homeowner for only a short time and hope that longer-time residents can explain this. I do know that the extreme lack of convenient parking, which was only getting worse, was one of the main reasons I decided I had to leave last summer. It’s unbelievable and upsetting to think that the people whom residents entrusted with the care of this uniquely beautiful little area are the ones who let this happen. Why does Ocean Grove remain part of Neptune Township? I know a vote to secede from the Township failed in 1980 (although a majority of Ocean Grove voters were in favor of the move). It may be time to try again. Editor’s note: We welcome Fran Hopkins’ attempt to penetrate what seems almost impenetrable. The RSIS story in Ocean Grove is complex, so her summary and her questions are well worth airing out now for a 2017 update. And, here is a link to a 2011 Blogfinger post, updated to 2015, where Kevin Chambers offers a brilliant summary regarding this issue. Don’t miss Kevin’s discussion by clicking on the link below. –Paul Goldfinger, Editor @Blogfinger. May 1, 2017. 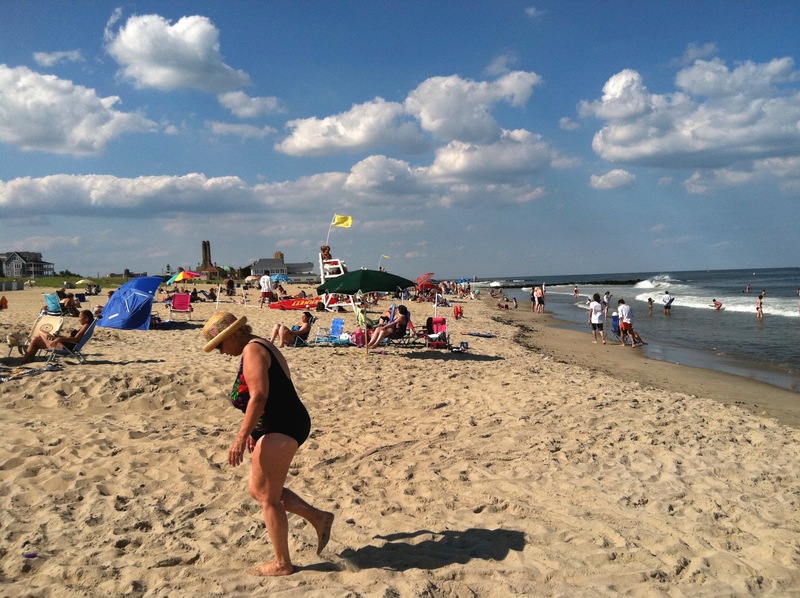 Is Ocean Grove at risk of becoming just another Jersey Shore town? Ocean Grove New Jersey. Many homeowners in OG have done remarkable restoration work on their homes. This finial and gingerbread work is on Mt. Hermon Way. 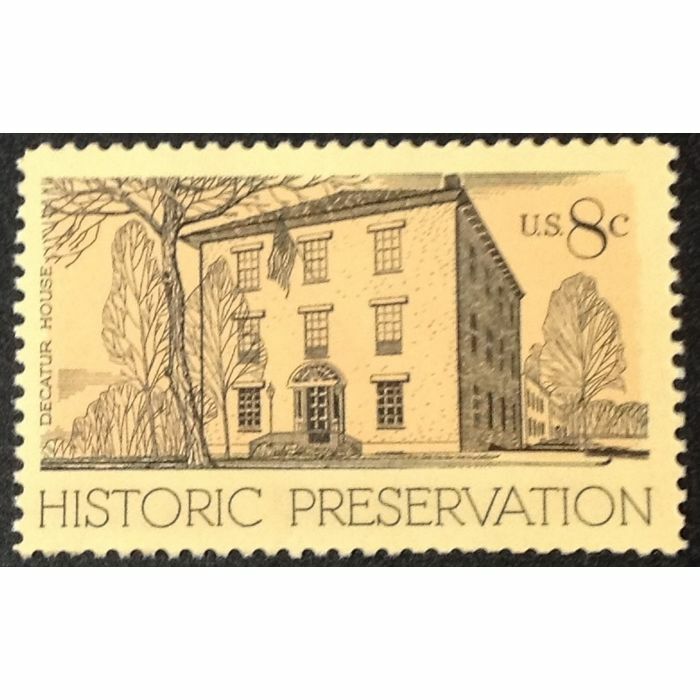 In a letter to Blogfinger on April 11, J. Cortese vented regarding what he sees as a deterioration in our town’s efforts to maintain historical preservation, and he sees the situation worsening over the last 10 years . 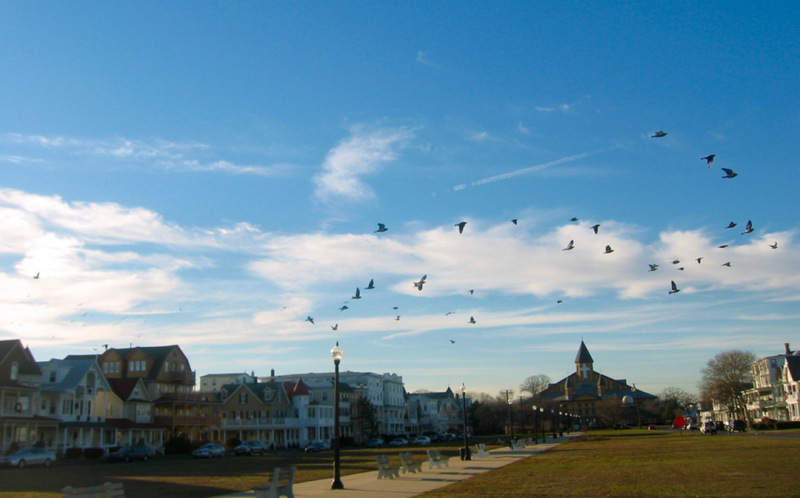 Blogfinger’s writers and commenters agree with J., as do others in town, but is he correct to fear the eventual fatal decline of Ocean Grove as a very special historic place? 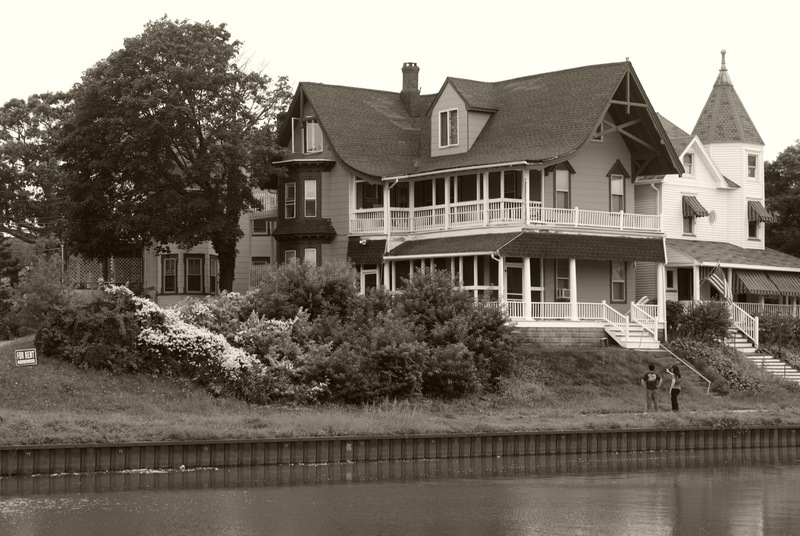 When we moved to Ocean Grove in 1998, the town was still in a pretty raggedy condition. Most streets had historic houses that were in serious states of decline. But you could see signs of life—indications that homeowners coming into town wanted to help bring these properties back to life. We saw tremendous progress after that. Homeowners were putting up large sums of money to resurrect those irreplaceable Victorian buildings. This effort showed results over the next 10 years where every street had multiple examples where beautiful and accurate historic work had been done. Derelict houses, while still existing, were no longer the main theme of our town’s architecture. Instead, most of our streets were uniquely lovely. This investment and commitment by homeowners is the main reason Ocean Grove looks so wonderful today as a Victorian-style community. And Blogfinger and its supporters are correct in criticizing Township officials, the CMA, and developers who are willing to exploit the town for financial reasons and to play fast and loose with zoning and land use regulations. This network of exploiters produces results that yield less parking, less historic beauty, and more congestion. They are a force pushing us in a different direction. To add to the problem we have a Homeowners Association which has lost its way and a Historical Society which is barely visible in terms of preservation. The HPC is currently hiding in the shadows, and the Chamber of Commerce has no interest in the issue. If all that continues, the town will, as J. predicts, lose what makes it so special as an authentic historic community. We have interviewed many newcomers, and they all say, “We fell in love with this town,” and for good reason. I don’t have to tell you about the lifestyle of Ocean Grove now, an element that is apart from the architectual. It is the organic component which adds a thrilling dimension to living here. We have many children, young families, Wiffle ball games in the park, beautiful beaches, a vibrant porch culture, artistic events, etc. 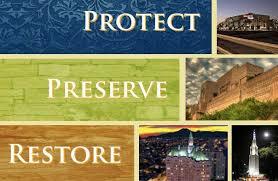 We are a walking and talking town with smart, friendly citizens, and much of that stems from historic preservation. However, not everyone in town agrees with the vision of people like J. Cortese, Kevin Chambers, Jack Bredin, Ted Bell, Blogfinger, HPC and others. And if those forces, including citizens, elected officials, and organizations, which should be supportive, continue to turn away, the town will become something other than a Historic District. As J. points out, many residents are just looking for a wonderful shore town to enjoy and to share with friends and family, and this one is very special and thus very popular. And our proximity to the new Asbury Park will contribute to the popularity of OG. Judging from the newcomers that I have met, they all want our town to continue being a place to love, but there are those who are not interested in our 19th century Victorian theme. So, although some of them will concern themselves with historic preservation, we don’t currently know how many will actually care. We believe that most Grovers would hate to see the historic vision decline further, and hopefully most of us will stay involved and help to hammer out an aggressive plan for Ocean Grove’s Victorian survival . But will the dream be too much for too many?